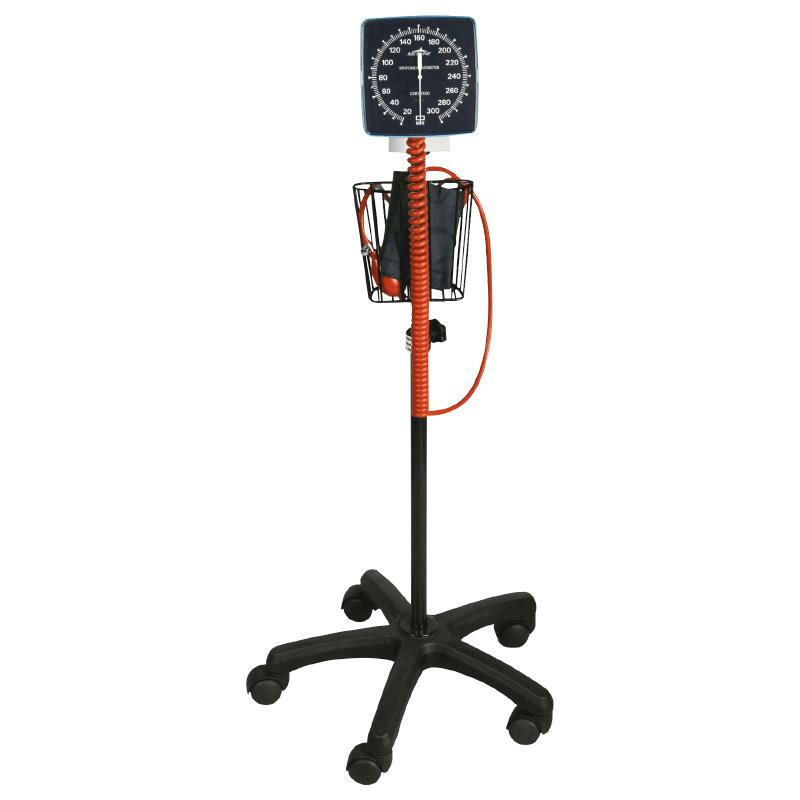 Medline Mobile Aneroid Blood Pressure Monitor has large, raised numbers and a luminescent coating which makes it easy to read in any type of lighting. It provides eight-foot coiled tubing and pivoting bracket extend service area for more convenient use. Its inflation system and bulb assembly store easily and safely behind the gauge. It includes adult cuff.